Welcome to Plymouth Trawler Agents Limited (PTA). 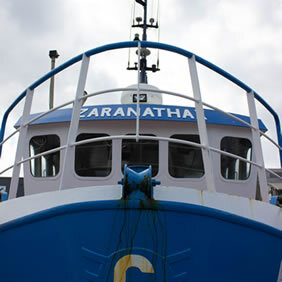 We are an independent firm of fresh fish auctioneers and fishing boat agents. We were formed in 1995 "by fishermen for fishermen". The Company was set up more in hope than expectation as commercial fishing was at a very low ebb in Plymouth at the time. 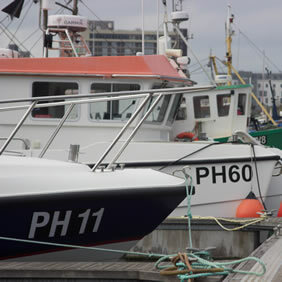 In 2018, the PTA handled the catches of 353 different fishing vessels and auctioned 3,940 tonnes of fish to a value of £15.8 million from its base at Plymouth Fish Market in Sutton Harbour. The success of the Company is built on the strength of its internet auction where more than 60 registered buyers regularly compete for the available fish. Gone are the days when buyers had to get up in the middle of the night to stand on boxes of fish in a cold market and engage in a winking game with the auctioneer. Buyers averse to any form of physical exercise can now lie in bed and bid for fish providing they can summon up the energy to hit the space bar on their laptops accurately; progress is a wonderful thing. We hope you enjoy the website which contains a wealth of information about the Fishing Industry, particularly in the south west of England. If you are looking for a corporate experience, we suggest you head for the horizon and put as much distance between us as you can. 350 to 400 different vessels land their catches to us annually. The fleet is remarkably diverse ranging from small 5 metre inshore vessels to powerful twin-rig trawlers and 30 metre beam trawlers. 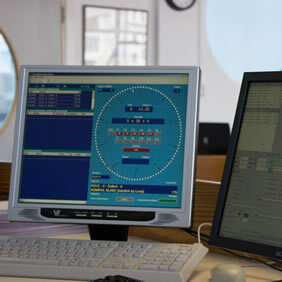 About 80 vessels regularly land to us in Plymouth while the remainder land their catches in a variety of south and south west ports for onward transport to Plymouth. Fishing grounds off the south and south west of the UK contain a wonderful variety of fish. 45 different species are available on an average market with many others from anchovies to zulu fish being reluctant, occasional visitors. Species considered exotic like octopus, red mullet, squid, bream and John Dory abound in our waters. Next time you go out for a meal, try one of them but take a tip, give the zulu fish a miss. We operate an electronic auction system (EAS) on a secure internet site. The auction is held from Monday to Friday inclusive with the exception of Bank Holidays and starts at 0600 hours. Buyers must be registered with the Company to bid at auction. Most buyers bid for fish "remotely" i.e. away from the actual market while just a few local buyers attend the dedicated auction room at Plymouth Fish Market. We receive fish from harbours in the south of England from Newlyn to Eastbourne and many ports in between. We also have fish from Wales. Deliveries of catches from more distant ports like Whitehaven and Lowestoft are much rarer nowadays because of ever increasing fuel costs. 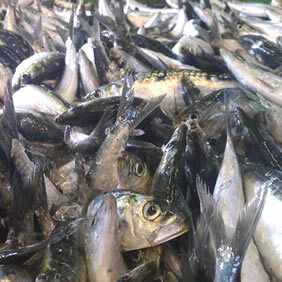 The Company collects fish with its own transport from Looe, Polperro, Padstow and Mevagissey. Plymouth Trawler Agents is a private limited company. It has approximately 100 shareholders, most of whom are fishing boat owners. In addition, a few of the shareholders are fish merchants/buyers while a few more are philanthropic shareholders just wishing to see the survival and continuation of the Fishing Industry in Plymouth. During the Christmas period of 1994, the Fish Market on the western side of Sutton Harbour closed for the last time. A new market had been built by Sutton Harbour Company (SHC) on the eastern side of the harbour as part of the greater re-development of the port. We sort, grade, weigh and ice the catches of individual registered fishing vessels. We auction the catches of those vessels on the first available market with the aim of securing the best possible price for each and every box of fish. Pay the vessels weekly for all fish caught in the previous seven days. We recover the monies paid by registered buyers for the auctioned fish. Any fish bought in a Monday to Friday period must be paid for by the following Tuesday.